He knew that the book was going to be controversial and would cost him friends. Grenier, to whom he showed the manuscript, cautioned his former student that The Rebel would actually make him enemies. Not only did Camus take the unusual position for someone on the left. criticizing the USSR, he also took a pop at cherished icons of the French left-wing such as Robespierre and St, Just. Shortly before The Rebel was released Camus asked to shake the hand of a friend with whom he’d just eaten lunch; he knew that in a few days few men would be willing to take his hand. Although Camus was prepared for criticism and the loss of friends (he was no stranger to losing friends over political and philosophical disagreements) he was completely unprepared for the deeply personal nature of the backlash. The onslaught when it came was directed as much, if not more, at him personally, as a man, than at the ideas expressed in his book. That the Communists would not like The Rebel was no surprise to Camus. He could hardly have expected a favourable review from them. Positive write-ups from some the right were disturbing but could be predicted. Political correctness was rife at the time and publishing anything deemed to give aid to the enemy was held in an extremely dim light by writers on the left and the right. Leftists would avoid criticizing the USSR, turning a deaf ear to tales of forced labour and death camps. The view was that any public acknowledgment that all was not well in the workers paradise would be seized upon by the right. However, on other occasions he’d believe that The Rebel was his greatest work. Sartre put off publishing a review in his journal Modern Times, not wanting to have to savage his friend. In the end he fobbed the job off on another writer, Francis Jeanson, in the belief that Jeanson would take it easy on Camus. He was mistaken. Jeanson went to town, trashing both The Rebel and its author. There followed a furious exchange of letters, Camus refusing even to acknowledge the writer of the damning review and addressing his letters to Sartre with ‘To the editor’. In return, both Sartre and Jeanson avoided replying to Camus on the subject of his book but choose to discuss him personally instead. For the spectators, reading these exchanges, the fight was something of an entertainment. The right particularly enjoyed watching their ideological enemies air their dirty laundry in public. In the end, the general consensus was that Camus had lost the battle. He was deeply hurt, whereas to Sartre such battles were all part of the game. When he went looking for friends and sympathizers, Camus found some, but nowhere near as much as he would have liked. To his Algerian friends he resorted to a kind of macho frustration at not being able to knock Sartre’s teeth out because the philosopher was too small. To Marie, he arrived on her doorstep, suffering from a panic-attack and on the verge of tears. Camus and Sartre would never be reconciled. In the aftermath of The Rebel furore Camus managed to put out a collection of press articles written between 1948 and 1953, published as Actuelles II (Actuelles I consisted of articles from Combat). He also rewrote some old essays published as a collection entitled Summer. Albert wasn’t the only Camus to suffer from depression. Francine became severely ill, starting in 1953, and had to be hospitalized. Her depression, which manifested itself in crying and obsessive talking about Maria Casares. That her husband had mistresses was no secret, to Francine and her family, or friends in Paris . Camus felt powerless to help his wife, just as he did with the first wife Simone over her drug addiction. From May 1955 to February 1956 Camus produced thirty-five articles for L’Express. In March Camus sent a manuscript of The Fall to Vivienne Perret, wife of Jean Bloch-Michel who had worked with Camus on the paper. Originally, The Fall was intended to be one of the short stories destined for Exile and The Kingdom but Camus found it taking on a life of its own and deserving to stand alone in its own right as a novel. He hadn’t yet come up with a title, possible candidates included: A Hero of Our Time, The Last Judgment and The Good Apostle. Camus considered several other possible titles before deciding to go with his friend Roger Martin du Gare’s suggestion of The Fall. By this time Francine seemed to be over the worst of her illness. 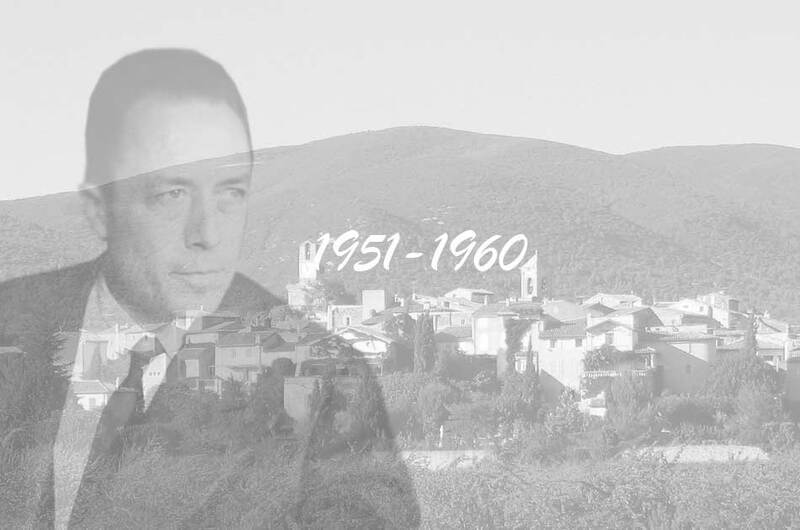 Throughout this period Camus was in turmoil over what would become the Algerian War. In 1954 there was an outbreak of terrorist attacks and in 1955 seventy Europeans and 50 Arabs were massacred at North Constantine. In retaliation almost 1300 were killed. Europeans were arming themselves before leaving their houses and Camus was desperately concerned for the safety of his family. In January of 1956, while still writing for L’Express, Camus called for a ‘Civilian Truce’ and visited Algeria in an attempt to gather support for his proposal. He arrive to death threats and a crowd of thousands shouting ‘Death to Camus!’ Feeling that he could do nothing useful and worried that attempts to interfere would endanger his family Camus decided to remain silent on Algeria. However, this was a public silence, he still wrote letters on behalf of those he considered to be victims of injustice in Algeria . When his friend Jean De Maisonseul was arrested Camus broke his vow and wrote an angry letter to Le Monde demanding the man’s release. In 1957 Camus sent Jean Grenier the manuscript for the collection of short stories Exile and The Kingdom. The book, when published, was given faint praise by the critics. The Fall had been unexpected and revived Camus’s image somewhat but people were waiting for a great novel not a collection of short stories. The previous year he had adapted Faulkner’s Requiem for a Nun for the French stage. It was very successful and ran for two years. In 1957, Camus threw himself into theatre work, planning a repertory theatre that would put on eight performances a week, five modern French plays, two foreign classics and a matinée performance of a French classic. That year he also published Reflections on the Guillotine an essay against capital punishment. Things were about to get worse. The problem for Camus was that, at forty-three, he should still have decades left to produce further works but the Nobel was traditionally understood as a prize given at the end of a person’s career. Not only did Camus believe he was yet to write his masterpiece but he was convinced that he didn’t have decades left to write it. In addition, having spent years getting over the onslaught after The Rebel he was well-aware that his critics and enemies were going to have a field day. There would be good press as well as the bad but there would also be interviews, journalists would expect him to speak on the situation in Algeria and on his plans for future books. The pressure to write the next ‘Albert Camus novel’ had now become the greater pressure of writing a novel worthy of a Nobel Prize winning author. Nobel. Strange feeling of overwhelming pressure and melancholy. At 20 years old, poor and naked, I knew true glory. My mother. Frightened by what happens to me, what I have not asked for. And to make matters worse, attacks so low they pain my heart. 3pm. Another panic attack. It was exactly four years ago, to the day, that X. became unbalanced (no, we are on the 29 th , a day away then).28 For a few minutes, a feeling of total madness. Then exhaustion and trembling. Sedative. I write this an hour later. Night of the 29th to the 30th : interminable anguish. The major attacks have passed. Only a dull and constant anxiety now. In 1953 Camus started work on an ambitious adaptation of Dostoevsky’s The Possessed. By 1958 he had a completed version of the play that was three and half hours long with three acts, twenty-two scenes. Financing the project was difficult but the money was found and rehearsals began in November. Maria Casares was, for Francine’s benefit, benefit not cast although Catherine Sellers was given a role. Francine knew that her husband and Catherine were lovers but pretended Albert and Catherine were no more than friends. Maria and Camus were still together and took a trip together, along with Janine and Michel Gallimard to Greece. A new girlfriend was also on the scene, a young Danish art student called Mi. In January of 1959 The Possessed opened to mixed reviews. In order to try and make money the decision was made to go on tour with the play and this plan was successful with over 600 performances. Camus now had less than a year to live. The previous year had been hard on Camus, starting off with intense panic attacks. The Algerian situation had broken him. The publication of Actuelles III, a collection of writings on Algeria, was a disaster and a meeting with Algerian students left him in tears after one of them called him a coward. He sought refuge away from Paris and found one in the small village of Lourmarin, in the region of Provence. We can only speculate what the final piece would have been like. The same is true of his novel The First Man on which Camus was working in the last few months of his life. There were other projects, theatre work, including his continued attempt to be given his own repertory theatre and an television appearance for a programme called ‘Gros Plan’ in which he discussed his work in the theatre. Francine and the children arrived for Christmas. Camus crash had spent their Christmas in Cannes, and suggested dropping by to visit Camus who had planned a brief return to Paris in the new year. Francine would take the children and Camus, who had already bought a ticket, was going to travel by train. However, Michel Gallimard persuaded his friend to drive back up in his car. Sunday January 3rd, Camus, Michel and Janine Gallimard, their teenage daughter and their dog got into the Michel’s Facel Vega and drove north. The plan was to reach Paris in two days. The following day, after an overnight stop in the village of Thoissey, they drove until it was time for lunch. Back on the road and shortly before 2pm Michel lost control of the vehicle. Camus and Michel Gallimard were killed. The two women who were together in the back seat were thrown free of the car and not seriously injured. 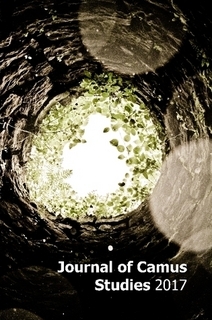 Among the wreckage Camus’ briefcase was discovered, containing among other items, his notebook and a manuscript containing early pages of The First Man. 28.Camus is referring to Francine’s depression.